To accomplish adaptability to filling surface, a flexible sanding plate is affixed through rubber mounts to a set of rockers/gimbals, which are than mounted to the filler's handle. Since the filling plate is flexible, it will allow work to be performed on local, small areas as well. 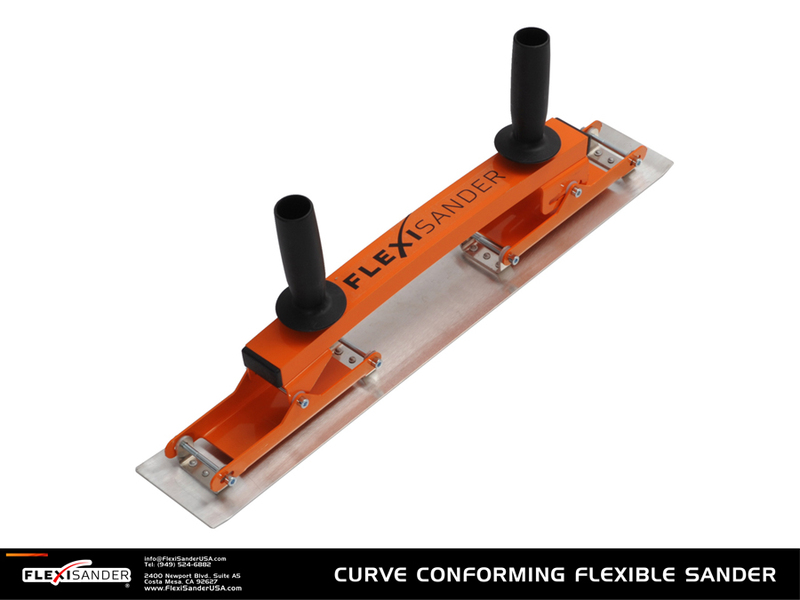 FlexiSander's durable construction and flexible filling board body enables you to apply even pressure over the entire surface, achieving results superior to any other filling board on the market. • up shaped ends of the filling board do not leave any scratches. • the filling board surface is made of flexible aluminum. With FlexiSander, surface filling is easy, fast and precise. Excellent when used in combination with FlexiSander SANDING tools.